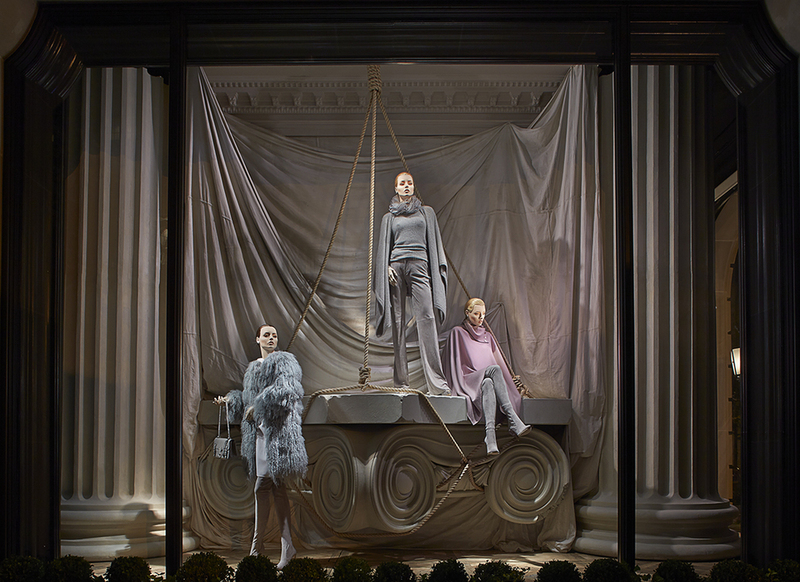 Ralph Lauren: EPIC grandeur — Geoff Howell Studio Inc.
Based on Ralph Lauren's summer ad campaign the inspiration for the women's windows on Madison avenue was classical grandeur. Geoff Howell Studio was commissioned to sculpt the large horse's head, the giant columns and large suspended capital. All pieces had a custom limestone finish to match the exterior of the building. We were very proud of the sweeping, cinematic result!